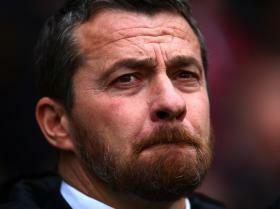 This time, Slavisa Jokanovic will get his chance. Promotion with Watford was sweet but his departure before getting to take charge of a Premier League game was bitter. This time, however, Jokanovic won’t be clearing out the office of a top-flight manager during the warm summer days, instead he’ll be preparing for life in the dugout of the world’s richest football league. Fulham’s promotion owes so much to many factors but Jokanovic’s influence has been enormous. He picked up a club threatened with relegation to the third tier, struggling with the hangover of having dropped out of the top flight and – to use the Serb’s own words – a little depressed. That the Cottagers won promotion given the wealth atop the Championship was impressive, to do it playing the best football in the division was the Holy Grail. Jokanovic has ideals but he is not dogmatic. “I want to play this way but if I don’t have enough quality players then I have no choice but to do it differently,” he said last year. After saving Fulham from relegation in his first season, Jokanovic began to build. Things became fraught at times, the internal battles well documented and eventually won by the Serb, with his growing influence over transfers eventually proving crucial with three January signings – Matt Targett, Cyrus Christie and particularly Alexander Mitrovic – playing huge roles in their return to the big time. Mitrovic in particular was a shining star and yet he was so close to returning to Belgium on deadline day until a move fell through. Jokanovic called his compatriot and made a late push to bring him back to England. “I will sign for you,” said Mitrovic, and the deal was done. His 12 goals ultimately might have been the difference between promotion and another season of disappointment, given the edge Fulham had lacked in the first half of the campaign. On the day, the fan favourite flew around the field from centre-forward playing the only way he knows – harrying, chasing, haranguing – as Fulham outplayed Aston Villa and closed out the game even with ten men. At Wembley, in playoff finals, the season that has gone before means nothing. Unless, that is, you are a team like Fulham. The Cottagers played the best football all year and it was clear in their performance against Villa just how settled they were, how comfortable in possession and how dangerous on the ball. Steve Bruce probably had the stronger XI but Jokanovic had the better team, coached into a superior unit and boasting a couple of outrageously talented individuals. Ryan Sessegnon’s pass and Tom Cairney’s subsequent finish crystallised that element of Fulham. But genius doesn’t flourish without structure to put it in a position to succeed. Jokanovic has done an outstanding job for Fulham and his reward won’t be stolen away from him this time. It’s been a long time coming, but he is a Premier League manager at last.